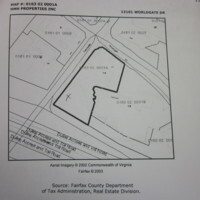 This is a map of HMH Properties who are the owners of Worldgate Shopping Center. X is marked to indicate the approx location of the grave. 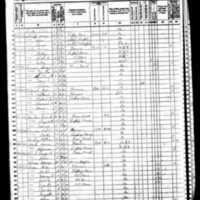 This is the 1870 Census Records of the Ratcliffe family. It shows the household Nancy at the age of 63, Cora at age 34, and Laura at the age of 32. 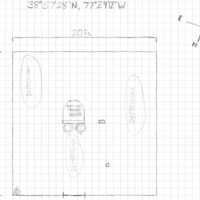 This is a sketch of Laura's grave. It is scaled for each square to represent 1 ft. Based on my observation, I made note of possible depressions to indicate there could be more than just Laura buried there. 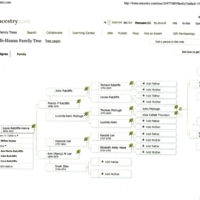 This is a simple version of Laura Ratcliffe's family tree. Richard Ratcliffe, the founder of Fairfax, had about 8 children and 40 grandchildren. However, I only including the direct connection to Laura. 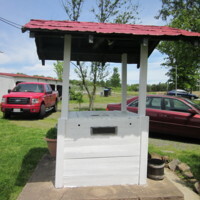 Outside the backyard is a well that was built in 1824 as well as a slave quarters. 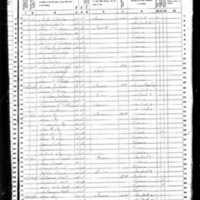 However, there is no records showing that Laura Ratcliffe had any slaves when they moved into Merrybrook in 1867. 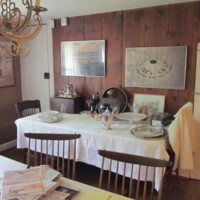 This is a picture of the dining room of Merrybrook. 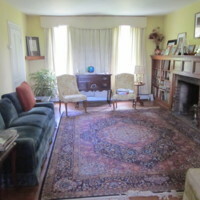 In the corner of the dining room, is the secret staircase that once led to a room upstairs. 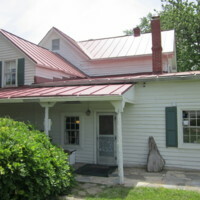 According to Win Meiselman, the pictures shows the oldest part of the house which was built in 1824. Overall, there has been 3 more additions to the house since 1824. 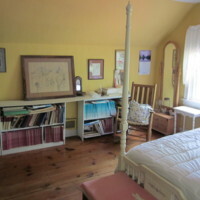 This is suggested by Win Meiselman to be Laura Ratcliffe's bedroom when she moved in 1867.